So, how does a manufacturer of precision metal parts answer the age-old question with a business card? By making it out of metal. That's right: metal business cards. Switzer designed multiple metal business card concepts to demonstrate their unique etching abilities. With creative minds on overdrive, numerous prototypes were developed. Each prototype utilized differentiated methods of etching down and through to create patterns such as hexes and grids. Through an R&D trial, almost a dozen prototypes were narrowed down to an elite six metal business card designs. This innovative form of marketing was personalized for each user, as each individual was able to choose their own design. 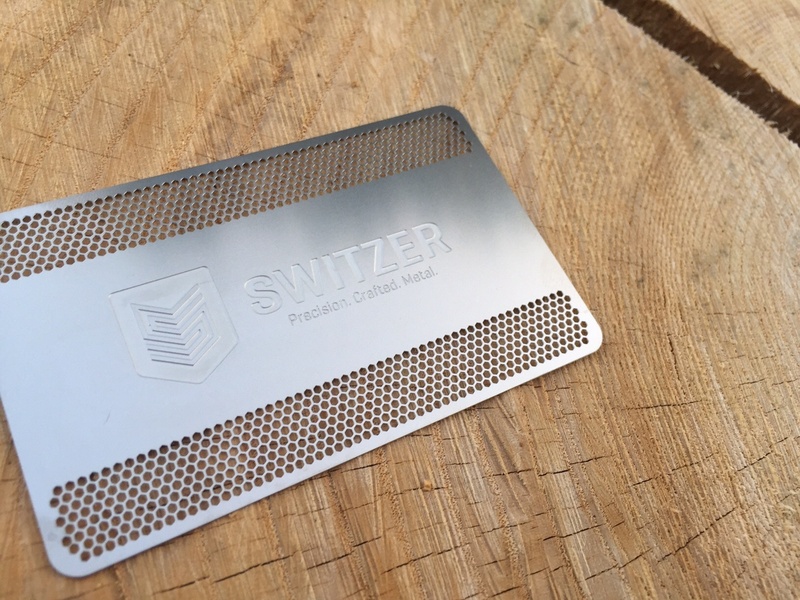 These metal business cards are the convergence of Switzer’s unique skill set and the new brand. All prototypes received rave reviews from Switzer’s toughest critics – themselves. When the business cards are given to prospects and customers, the response is overwhelmingly positive. 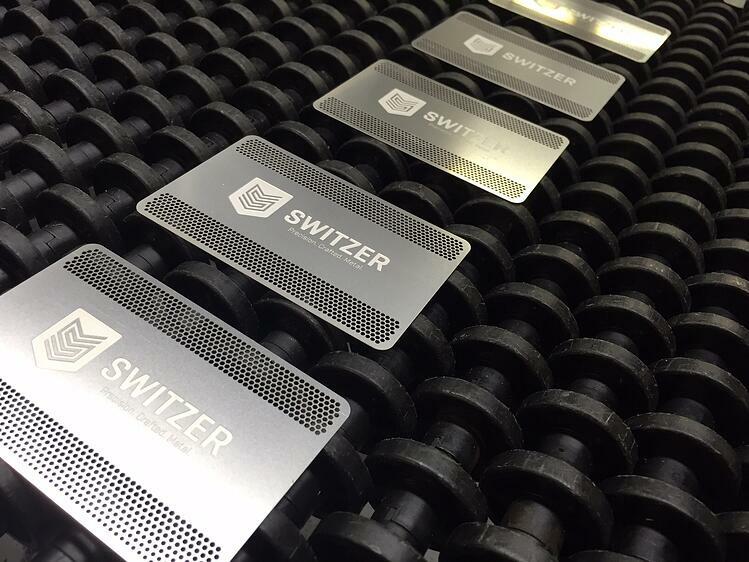 The business cards have proven to be an innovative marketing tactic that illustrates Switzer’s distinct capabilities. And practice makes perfect. We're ready for your orders! Contact us today to order your metal business cards.